When it comes to hosting a yard sale, you want to make your experience as financially rewarding and stress-free as possible. 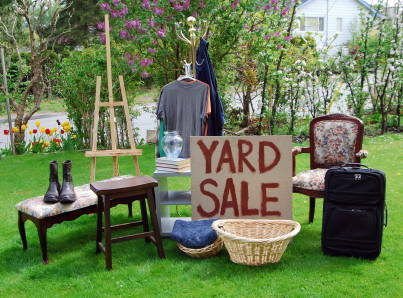 It’s one thing to have an average yard sale, but a professional-looking yard sale will help increase sales. 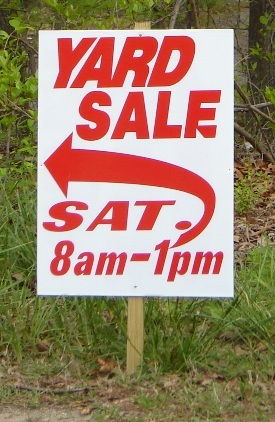 Differentiate yourself from typical yard sales by making it impossible for prospects to walk by without taking a peak. This will attract more people, even those who don’t shop at yard sales, but have more cash to spend. When you get the items put out, wipe off the cobwebs or dust, especially from bigger items that have been in the garage or attic. Some people may ignore yard sale items because they may appear too yucky to take home. Create a coordinated background by putting dollar-store table cloths on the mismatched tables. Use signs and arrows to attract people. Display the best items at the front to grab attention as people walk by. Put a free advertisement on local sites and Craigslist 10 days before the sale day. Create flyers and leaflets to distribute in a two block radius around your neighborhood. You may even consider investing in some real signage. Custom printing by Print Pelican and other companies adds a professional touch to your posters, making them considerably more lucrative than a hand-scrawled page stapled to a wall. With customized marketing, you can make an incredible first impression and drastically improve your chances of a successful yard sale. It’s also a good idea to designate a free box with items you want to give away without charge, such as fabric scraps or magazines. Place the box with other items at the front where people passing by can see it. Ever wondered why retail stores put freebies at the front? They want to grab your attention, so you’ll come in and likely load up your cart later. Learn from their example. Let consumers buy in comfort, so that they stay longer. You can have soft music in the background, and if it’s the summer season, have bottled water and fans in place. Give people something to do while they look around, such as reading magazines. Make sure you’ve chosen another day as the back-up day in case your original day gets rained out. While a light sprinkle should matter, not many consumers brave thunderstorms for buying outdoors. Give your yard sale the best chance of success. Also, have a decent supply of plastic bags to package items for customers. This is because most buyers will stop by unannounced and may not have anything to carry their purchases back home in. A rule of thumb is to price items at 90% of their original retailer price, as many shoppers won’t pay for items that are on sale for pennies on the dollar. For example, if you paid $5 for it, you could sell it for $4.5, or even less. You can charge more for unopened items or antiques. 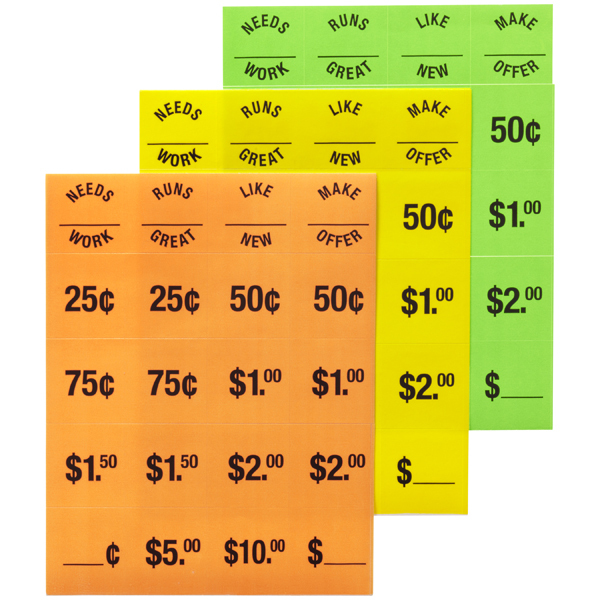 Use stickers and signs to indicate prices, or have a ready answer when consumers ask prices, and keep plenty of change in an apron with pockets or a cashbox. Without proper bankroll, you can lose a sale. At the end of the day, do your best to appear professional. The more organized you are, the more revenue you will generate. Have you ever held a successful yard/garage sale? If so, what worked best for you in your area? Previous PostSelling Your Home? Keep these 5 tips in MindNext Post Guess Whose Being Featured?